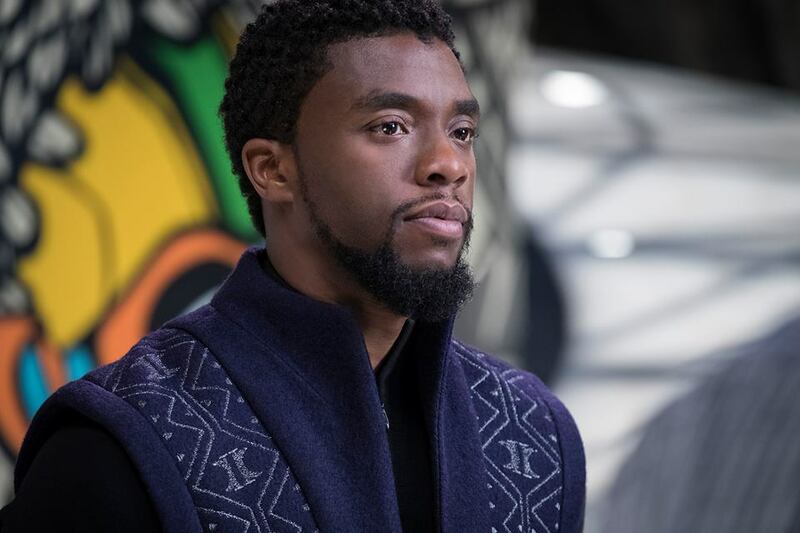 "Black Panther" was the big winner at the 2019 Screen Actors Guild Awards winning Outstanding Ensemble in a Motion Picture. HOLLYWOOD—Oscar nominations came out this past week, but that will unlikely have little impact on the winners for the Screen Actors Guild Awards. The SAG Awards are a major predictor of where Oscar could be headed. Why is this interesting? There were people nominated for Oscar who were not nominated for a SAG Award. In addition, some people nominated for a SAG Award were not nominated for Oscar. Yes, the voting bodies tend to overlap, but there are indeed differences people. With that digression, the 2019 Screen Actors Guild Awards were handed out on Sunday, January 27 and leading all contenders was the film “A Star is Born.” The question everyone wanted to know was who would come out as a potential front-runner for Oscar and that Best Picture race. Well, I would argue it’s anyone’s game at this point, because “A Star is Born” went home empty-handed, while “Black Panther” emerged as a potential front-runner for Best Picture. It was a night of surprises and stunners to say the least. I could NOT tell you who is walking away with Oscar definitively. If anything, I’d argue Mahershala Ali “Green Book” and Glenn Close “The Wife” might be the only two sure bets, and even those I’m not certain on. The ceremony was hosted by “Will & Grace” star Megan Mullally. Interesting pick for a ceremony that tends to go without a host, but Megan didn’t deliver the laughs in my opinion. I mean she is hilarious on the NBC sitcom, so I expected more than what was delivered. Her opening felt flat, lackluster and just not that funny people. What the hell with those “Black Panther” and “Crazy Rich Asians” jokes? On to the awards, the night kicked off with comedy, and “The Marvelous Mrs. Maisel” swept in the Male Actor, Female Actor and Outstanding Ensemble in a Comedy races. Tony Shaloub and Rachel Brosnahan were victorious for their acting caliber. Give Mahershala Ali the Oscar already for Best Supporting Actor for his work in “Green Book.” Ali has proven unbeatable in this race, and if there is an upset it will likely come Oscar night, where the Best Supporting Actor race always delivers a surprise no matter what. Amy Adams continued to go overlooked for her work on the HBO series “Sharp Objects.” Man that woman is phenomenal and still hasn’t earned the accolades she so deserves. Patricia Arquette won the SAG Award for Female Actor in a Leading Role in a Limited Series or TV Movie for “Escape From Dannemora,” while Darren Criss won Male Actor in a Leading Role for his work in “American Crime Story: The Assassination of Gianni Versace.” After 8 nominations, Jason Bateman picked up his first SAG Award for Male Actor in a Leading Role for his work on “Ozark.” He gave an outstanding speech that was inspiring, uplifting and just great. Sandra Oh won for Female Actor in a Drama Series for her role in “Killing Eve,” while the cast of “This is Us” was victorious in the Drama Series race. With the show nearing the end, the prizes for Female and Male Actor in a Motion Picture were handed to Rami Malek for “Bohemian Rhapsody” and Glenn Close for “The Wife.” I expected Close’s win, but Malek’s win, makes it clear that Christian Bale is not a front-runner for his role in the movie “Vice.” Oscar will be quite interesting coming February 24 as it appears that Malek might have the momentum. With the ceremony coming to an end, two-time Oscar-winner Jodie Foster presented the prize for Outstanding Ensemble in a Motion Picture to “Black Panther.” Wow, that was the only thing I could say because to be honest, this opens the floodgates for “Black Panther” to seriously take home the Oscar for Best Picture. If that transpires it would be historic because it would be the first superhero film to do so, and it will fall into the realm of “The Silence of the Lambs;” a movie winning an Oscar after being released nearly a year ago. Overall, this might have been one of the most boring Screen Actors Guild Awards I’ve watched in years. The pacing was terrible and I found myself changing the channel multiple times while watching. Now that SAG is over, we need to prepare for Oscar. For the first time in a very long time, I have NO IDEA how Oscar will pan out and I have to say I love it to say the least!